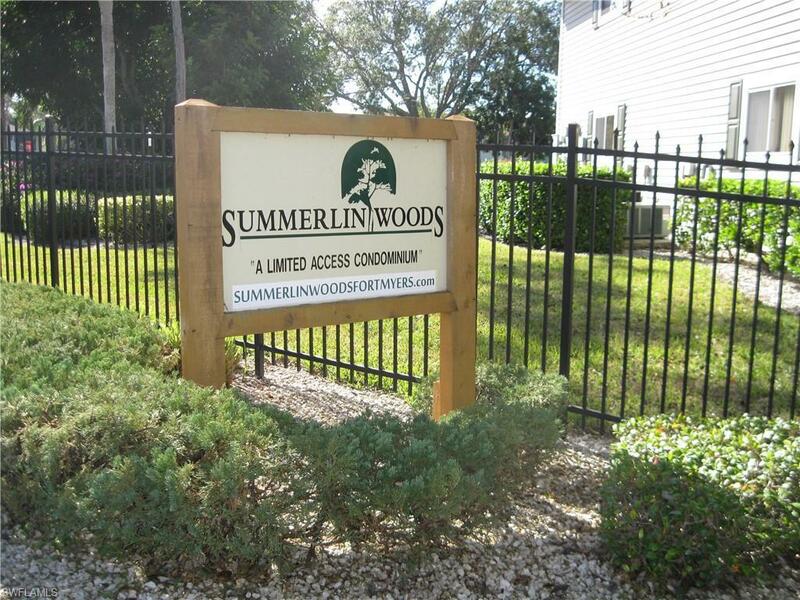 LOWEST PRICED, UPDATED FIRST FLOOR 2/2 IN SUMMERLIN WOODS AND PRICED TO SELL! LOCATION! Florida Living just became very affordable.!! Walk or bike to Lakes Park with its many amenities, including a Farmer's Market, botanical garden, and paddle boats! 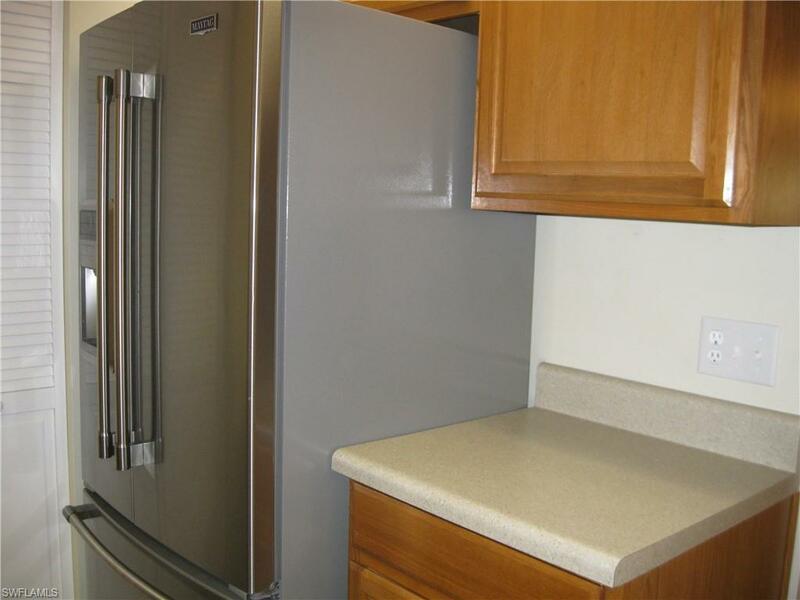 Move right in to this updated 2 bedroom/2 bath condo located in a quiet area of the community. Both bedrooms have their own baths, great for guest privacy. 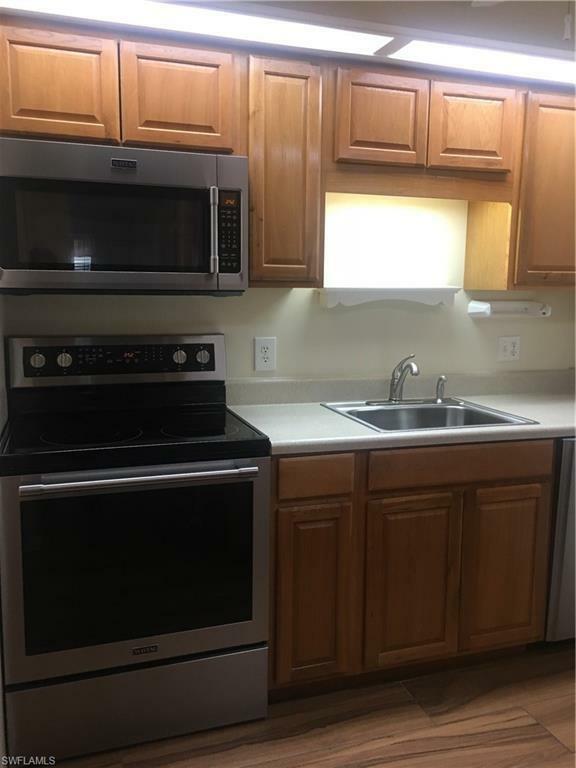 Updates within the last two years include wood-look tile floors, new AC, water heater, new Maytag washer & dryer, stainless steel appliances, cabinets and countertops. Bathrooms have also been updated with new cabinets, and vanity tops, as well as a new shower enclosure in the master bathroom. New lighting and fans add to its charm. The tiled lanai is large enough for your furniture to enjoy the outdoors. Mildew/mold resistant sun shades add privacy if desired Community pool, vehicle wash area, barbecue, bike racks, shuffleboard, pickleball, gazebo, and tennis courts are available. 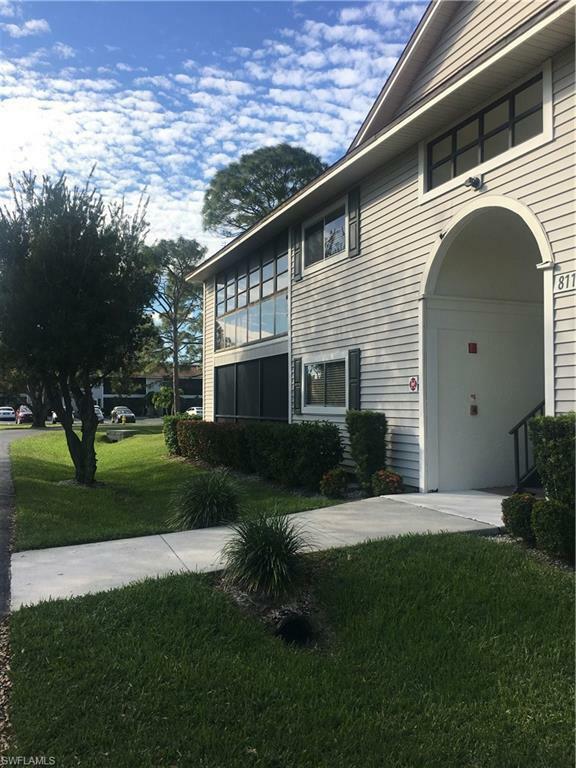 Theaters, upscale shopping, Health Park, Red Sox & Twins winter training, the beaches of Fort Myers and Sanibel Island, and much more are nearby!